No reservation required. Please just stop by. 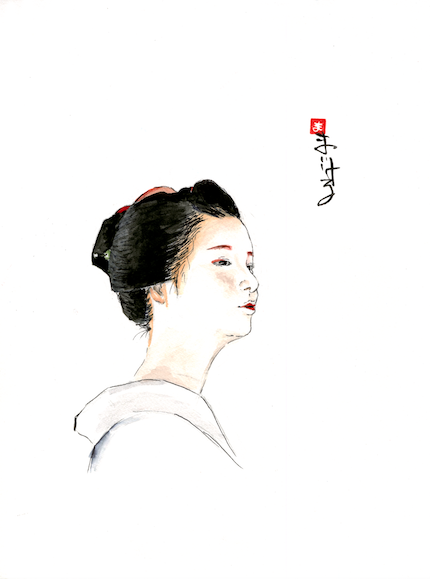 We are happy to announce that we will hold photography and illustration exhibition focusing on Geiko and Maiko in Kyoto by Michael Greenberger. During the exhibition, his works will be displayed inside the teahouse, Setsugekka East Village. 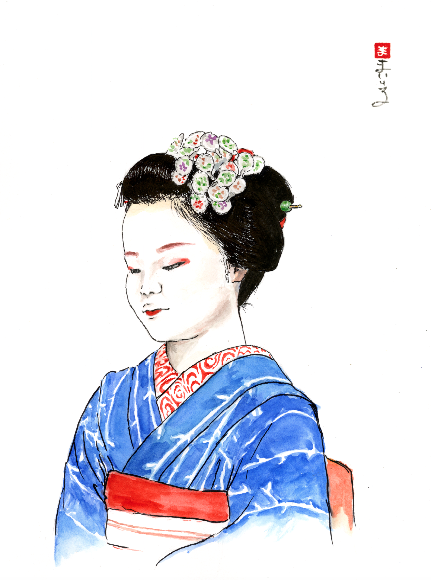 You will feel as if you were in Kyoto by being surrounded by his beautiful photos and illustrations. Furthermore, lectures on Secrets of Geiko and Maiko will be held on Saturdays, October 21st and 28th, 11am to 12pm and 5pm to 6pm. The admission is $35 per person including matcha by Souheki Mori and photo postcard by Michael Greenberger. As the seats are limited, please make a reservation by purchasing an e-ticket below. 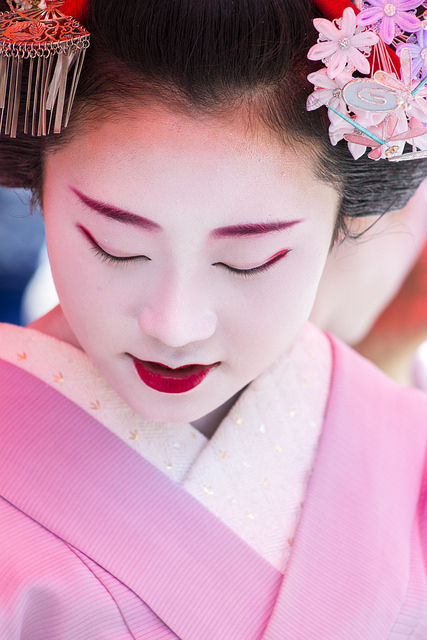 Geiko emulate Japan’s longstanding traditions while continuing to be established aspects of modern culture. The Kagai districts and its place in current society will be discussed. It will also showcase objects like Uchiwa (fans), Kanzashi (hair accessories), and Senjafuda (name cards). 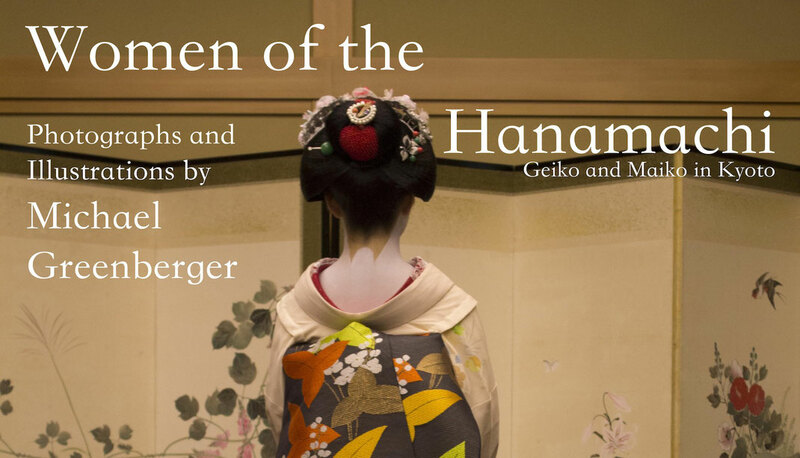 After three trips to Japan, seeing Geiko and Maiko in Gion, and studying the language, Michael Greenberger’s captivation with Japanese culture and its traditional arts led him to further his studies and practices. He has studied tea ceremony with Souheki Mori and is dedicated to increasing his knowledge. Michael will complete his BFA in Illustration at the School of Visual Arts in 2018, and he is active in the art world, doing freelance illustration and working at the Metropolitan Museum of Art.